. COUPLE PLAYING POKER bobblehead. 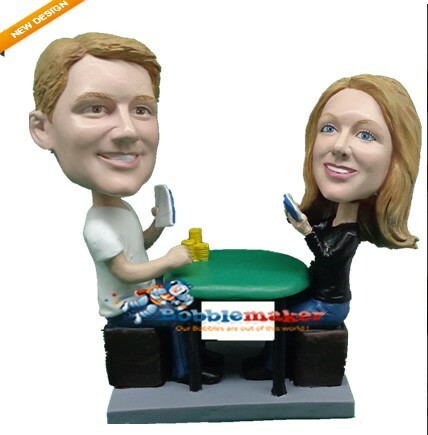 This custom couple bobblehead depicts a man and a woman playing poker at a table.